The 2005 All-Japan Shakaijin knock-out tournament took place in the middle of October, with five rounds being played on five consecutive days in the middle of the month in Hyogo prefecture, central Japan. 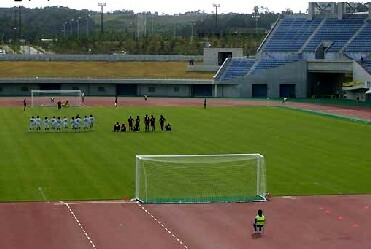 The competition ended in something of a surprising fashion with exhausted finalists Rosso Kumamoto and fellow Kyushu League side Nippon Steel Oita sharing the trophy after a 2-2 draw, when it had previously been announced that a penalty shoot-out would be used if the teams finished level. That quirk aside, however, what was notable about Shakaijin this year was the extent to which it provided a dress rehearsal for the Regional League Championship Winners’ Play-offs at the end of November, which decide promotion to the JFL. 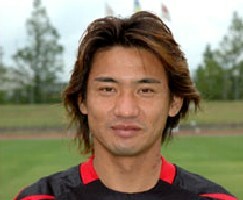 Aside from Rosso, it’s probably Banditonce Kobe who came away from Hyogo feeling altogether better about themselves – outsiders, perhaps, as far as reaching the JFL is concerned, but nevertheless a team that succeeded in reaching the semi-finals of Shakaijin and, once there, gave Rosso a real run for their money in a 4-3 thriller. TDK Akita also impressed in beating both Kanazawa SC and Shizuoka FC, results which suggested that they too will have to be taken seriously as contenders for the play-offs. 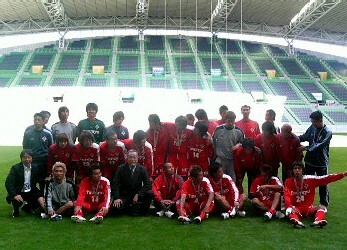 But as well as offering a glimpse of the short-term future of the Japanese non-league game, the competition brought to the fore two clubs currently competing at prefectural level, but who are very definitely aiming to be involved in the spread of professional football over the next few years. FC Machida Zelvia have subsequently gone on to win this year's Tokyo Prefectural League and will be seeking to make the move up the ladder to membership of the Kanto League for 2006 - but at Shakaijin, they pulled off the shock of the tournament in beating experienced Kansai League outfit Ain Food 3-1 in the First Round, before being edged out the next day by TDK Akita on penalties after a goalless draw. Not quite as well backed but still a team to keep an eye on are FC Central Chugoku from Shimane prefecture towards the southern end of Honshu, who despite ultimately being eliminated by surprise package Hannan University had previously managed to overcome Nippon Steel Kamaishi from the Tohoku League.